The movement to return to the 1960s has surfaced recently in the shape of a proposal to de-cabinetize the DNR. There are several groups and organizations supporting this idea. There are the nostalgics. 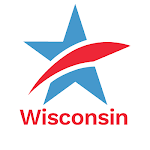 They believe that the commission form of government that dominated Wisconsin state government for our first 100-plus years was better in every way. Each major unit was run by a bureau chief. The bureau chiefs were appointed by and reported to a citizen board. These boards had staggered terms so that it was unlikely that any governor would have named all or a majority of the members. In practice this was not anything any governor-phobe had to worry about. The appointees with rare exceptions were quickly captured by the bureau chiefs and their staffs. Their loyalty to the appointing governors faded, and the state had a government by bureaucrats not the anticipated government by commissions. These were dedicated, responsible, service-oriented, incorruptible executives. The system was anti-democratic. It worked. Another, better-organized source of support for de-cabinetizing is the interests that are subject to the DNR’s regulatory whims and want to set the priorities for this major state department. The DNR commission was, until the mid-1960s, pretty much a creature or a captive of the hunting and fishing lobbies and their conservation allies' organizations. They pretty much ran things as long as they ran them the way their bureau chief thought best, which was usually what they thought was best as well. This system was also anti-democratic. It, too, worked. More recently, an unorganized but growing constituency best described as political cynics has decided that elected officials are too powerful, too beholden to their campaign contributors, and too invincible. This group will support any idea that curtails the power of the people who have been elected to run the place. Among the power centers weighing in with the cynicals is the members of the Milwaukee Journal Sentinel editorial board. Their motives are not revealed, but probably are partially biased in favor of the “experts know best” tilt of the nostalgics and the interest blocs. The main opposition to the de-cabinetizing of the DNR is coming from anyone who has, had, or wants to have the job of governing the state. What these CEO types know is that the governor is held responsible for everything that happens on his or her watch. This is why governors want authority commensurate with their responsibility, including particularly the authority to select those subordinates who will be in charge of the major departments of the government. Someone should ask the members of the Milwaukee Journal Sentinel editorial board if they also think Journal Communications company executives should delegate their authority to hire and fire the members of the editorial board to a group of appointed citizens. Unless on second thought it would not have been a good idea for leftover Clinton commissioners and leftover Bush commissioners to be running the Bush and Obama programs until and unless those commissioners were ultimately replaced. In short. If you don’t like the governor, elect a new one. Don’t hobble the one you have elected.